Monday, Derek and I decided that 36 degrees was warm enough to take our 3 mile half marathon training run out doors! And... I loved every minute of it! While the run was cold in the beginning it felt exhilarating to be running outside. I get tired of running on a treadmill like a hamster on a wheel! To ensure that I was nice and warm on my run I busted out some new workout gear! I got these running leggings for Christmas in black and I absolutely love them! They are high waisted enough where they don't feel like they are digging into your hips! I also love the large zip pocket on the waist, perfect for my keys! 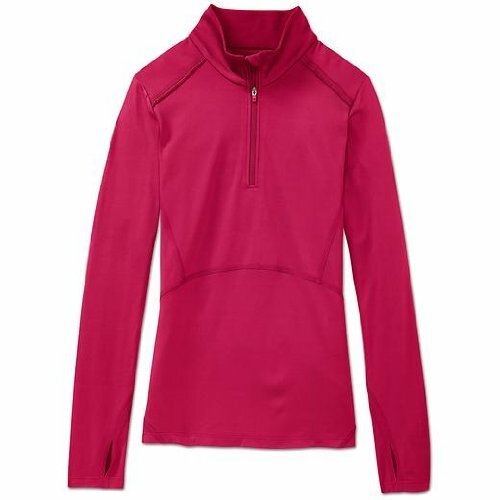 Great for layering under a vest, I wore under armor under this and was perfectly warm! Even my new Garmin GPS running watch got to go for its debut run! Derek got me the Garmin Fore Runner 10 GPS Watch for Christmas, and I have been dying to try it out! This watch worked great. This Garmin watch is light weight, smaller and even pink! Do you run outside in the winter time? For some reason the cold air hurts my throat so I usually run inside in the winter...plus, i have arthritis and the cold makes my joints stiff (I sound like an old lady lol). I can't wait for spring to arrive because I'm ready to get involved in some outdoor activities. BTW, Cute running pants! love love love my garmin! cute workout gear!! Good for you! I would never run outside in 36 degree weather! hahaha Love the new workout clothes! I've been horrible at checking in with some of my favorite blogs, but I'm so glad that I read this post. I've been wanting a Garmin watch for a long time and since having my little one getting back in shape is even more important to me. Thanks for suggesting this one!